INCIRLIK, TURKEY (June 8, 2017) – Germany is ready to move German soldiers from the Turkish Incirlik to Jordan. The German parliament approved plans on Wednesday. The use of the international coalition in the fight against the extremist militia IS should not be affected as far as possible, said Chancellor Angela Merkel and Defense Minister Ursula von der Leyen. German politicians discuss with the Americans how to bridge the time. Turkey has forbidden German deputies to visit the Incirlik Air Base. This ban became a permanent theme between Turkey and Germany. Turkish President Erdogan accuses the German government of protecting terrorists in Germany. This withdrawal of German soldiers could adversely affect the offensive on Raqqa in Syria. 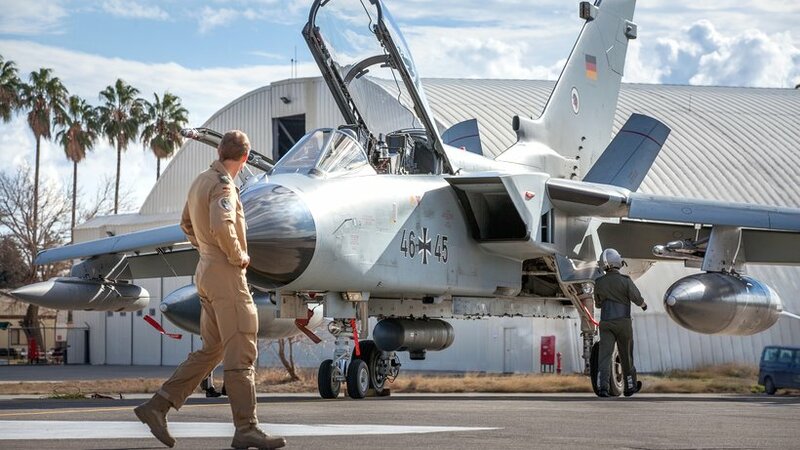 It will take a few months for the German Air Force to resume reconnaissance flights in Syria. Incirlik Air Base is a military base in Turkey, mainly used by the United States. Since 2001, the United States Air Force has been stationed there to provide US soldiers in Iraq and Afghanistan. Since January 2016, the German Army has also been using the airfield as part of the “Operation Inherent Resolve”, thereby supporting the fight against ISIS.